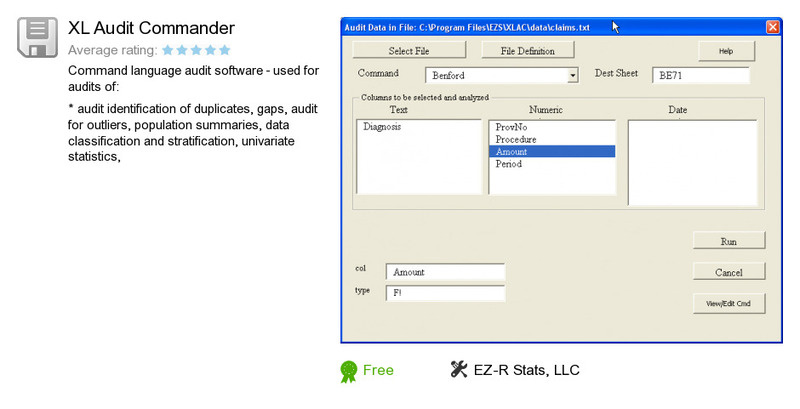 XL Audit Commander is a software program developed by EZ-R Stats, LLC. We know of version 1.5. Version 1.56 is available for download at our site. XL Audit Commander installation package has a size of 15,184 bytes. EZ-R Stats, LLC also publishes Web Log Monitor and EZ-R Stats for Windows.